Is Netflix, Inc. (NASDAQ:NFLX) a good equity to bet on right now? We like to check what the smart money thinks first before doing extensive research. Although there have been several high profile failed hedge fund picks, the consensus picks among hedge fund investors have historically outperformed the market after adjusting for known risk attributes. It’s not surprising given that hedge funds have access to better information and more resources to find the latest market-moving information. Netflix, Inc. (NASDAQ:NFLX) shareholders have witnessed an increase in activity from the world’s largest hedge funds in recent months. The number of bullish hedge fund bets went up by 18 recently to 84 investors with long positions at the end of the third quarter. Interestingly, event thought the stock is quite popular with hedge funds when compared to the other companies with similar market caps, it has not attracted too much attention from the wealthiest investors (if you want to know which stocks did, take a look at the list of 30 stocks billionaires are crazy about: Insider Monkey billionaire stock index). Now let’s analyze the stock further, and check out what other smart money investors think about Netflix, Inc. (NASDAQ:NFLX)? At Q3’s end, a total of 84 of the hedge funds tracked by Insider Monkey were bullish on this stock, a change of 27% from one quarter earlier. 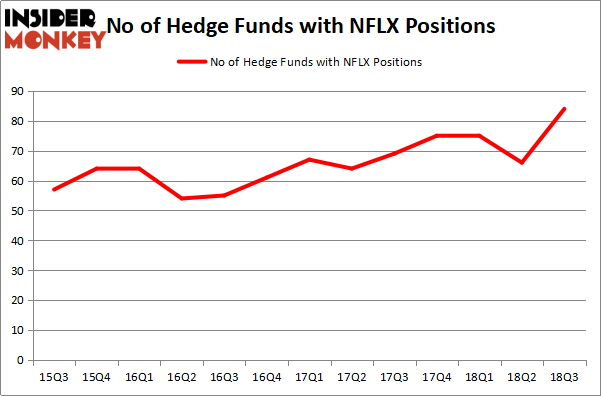 By comparison, 75 hedge funds held shares or bullish call options in NFLX heading into this year. So, let’s check out which hedge funds were among the top holders of the stock and which hedge funds were making big moves. Among these funds, SRS Investment Management held the most valuable stake in Netflix, Inc. (NASDAQ:NFLX), which was worth $1242.4 million at the end of the third quarter. On the second spot was Citadel Investment Group which amassed $995.9 million worth of shares. Moreover, Tiger Global Management LLC, Matrix Capital Management, and Coatue Management were also bullish on Netflix, Inc. (NASDAQ:NFLX), allocating a large percentage of their portfolios to this stock. Consequently, key hedge funds have been driving this bullishness. Melvin Capital Management, managed by Gabriel Plotkin, established the most valuable position in Netflix, Inc. (NASDAQ:NFLX). Melvin Capital Management had $284.3 million invested in the company at the end of the quarter. Steve Cohen’s Point72 Asset Management also initiated a $178.5 million position during the quarter. The other funds with brand new NFLX positions are David Gallo’s Valinor Management LLC, Alexander Mitchell’s Scopus Asset Management, and Louis Bacon’s Moore Global Investments. 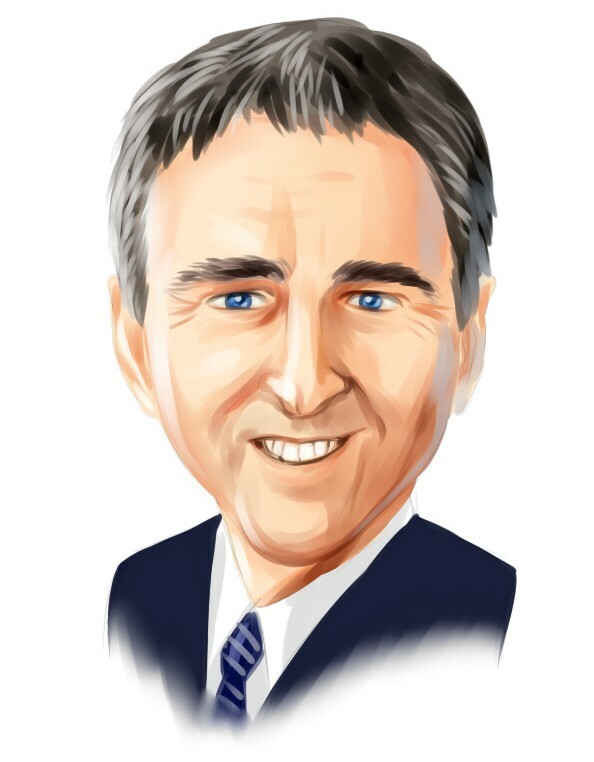 Let’s check out hedge fund activity in other stocks similar to Netflix, Inc. (NASDAQ:NFLX). These stocks are Comcast Corporation (NASDAQ:CMCSA), PepsiCo, Inc. (NYSE:PEP), BP p.l.c. (NYSE:BP), and SAP SE (NYSE:SAP). This group of stocks’ market values are closest to NFLX’s market value. As you can see these stocks had an average of 46 hedge funds with bullish positions and the average amount invested in these stocks was $3.63 billion. That figure was $8.78 billion in NFLX’s case. Comcast Corporation (NASDAQ:CMCSA) is the most popular stock in this table. On the other hand, SAP SE (NYSE:SAP) is the least popular one with only 12 bullish hedge fund positions. Netflix, Inc. (NASDAQ:NFLX) is not the most popular stock in this group but hedge fund interest is still above average. This is a slightly positive signal but we’d rather spend our time researching stocks that hedge funds are piling on. In this regard CMCSA might be a better candidate to consider a long position.